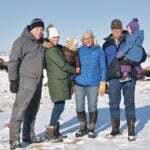 It takes a North American prairie cold snap, those first two to three weeks of real winter when outside temperatures plummet where Fahrenheit and Centigrade meet below zero, for beef specialists to dust off and publish articles on managing cows through cold — the -40 C kind. They all make valid points; gentle reminders for beef producers that cold can be inhumane and a serious impediment to production. Monitoring body condition of cows through gestation is closely linked to calving success and profit in beef herds. Body condition of cows and heifers, beginning in early gestation, has an impact on future reproductive performance, calf health, weaning weights, and overall herd productivity. Thin cows (BCS 2 or less) are only half as productive as cows in optimum condition (BCS 2.5–3). 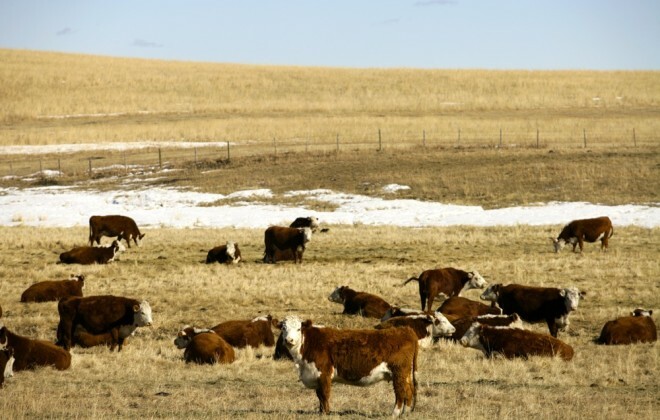 Feeding beef cattle during western Canadian winters can be a challenge. Frame size, body condition, feed quality, types of feed and temperatures all have an impact on feed consumption and rate of gain. 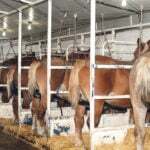 Overfeeding is costly and wastes feed; underfeeding affects body condition and influences both short- and long-term performance of the breeding herd. Make needed adjustments to dietary protein and energy no later than 60 days before calving (90 days is better). Putting weight on through the last trimester and during lactation is difficult and expensive. To improve one BCS in 90 days requires 20 per cent more energy; to do it in 60 days requires 30 per cent more. Know body condition scores 90 days pre-calving. Nutrient requirements increase 35-40 per cent at calving. Feed test! Know what you have. Inadequate nutrition during the last trimester is associated with lighter birthweights, poor-quality colostrum, lower calf immunity, reduced calf survival, decreased milk production, and reduced weight gain in calves that lasts out to weaning and beyond. 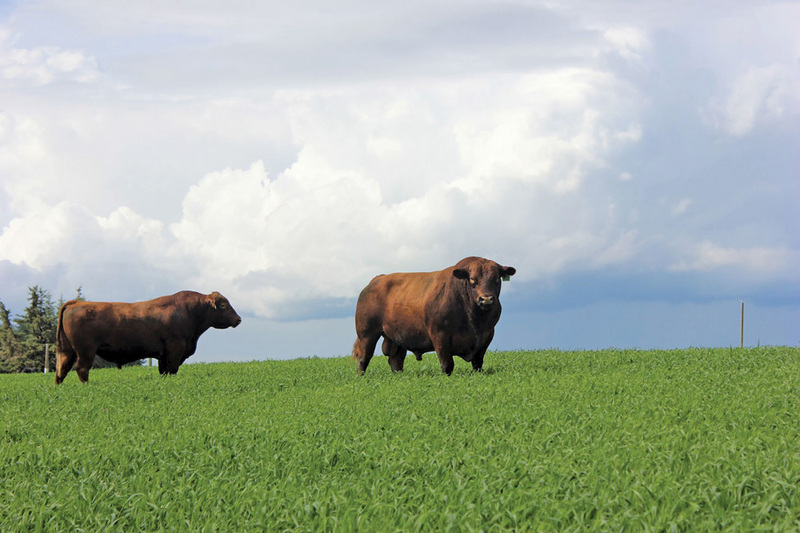 Winter feed and forage grazing costs account for 60-65 per cent of total cow-calf production costs in Western Canada. Sixty nine to 79 per cent of producers use some form of extended grazing. Well-managed extended grazing is an excellent way to lower winter feed costs, provided the cow’s dietary requirements are met. Forage quality and body condition scores need to be monitored closely. Only 38 per cent of swathed-grazed forage samples meet the energy needs of a cow through the last third of pregnancy (at -25 C). A cow that calves at BCS 2 (thin) will have a difficult time gaining the 100 pounds necessary needed to reach BCS 2.5, rebreed in 83 days and maintain a 365-day calving interval. 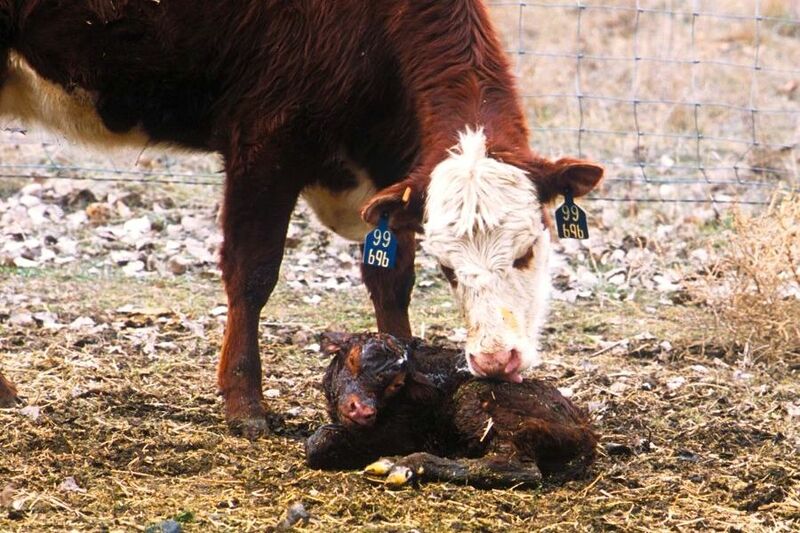 Eighty-two days after calving is the most crucial period in the beef cow’s year. To calve at the same time next year, she must rebreed within 80 to 85 days while nursing a calf. Group cattle by age and nutritional need. Consumption of free-choice minerals is “hit and miss.” It is better to mix minerals into a small amount of grain or pellets (three to four pounds per head per day), or feed fortified pellets containing a balance of minerals, vitamins and supplements. Feed an additional one pound of grain or pellets per head per day for every five degrees that the temperature is below -20 C at midday. Sixty days prior to calving: decrease the amount of roughage fed by approximately 15 per cent and increase the amount of grain or pellets fed by 15 per cent. Reduce or eliminate forced feeding of straw after calving. Most straw rations do not provide adequate levels of energy during the lactation period. 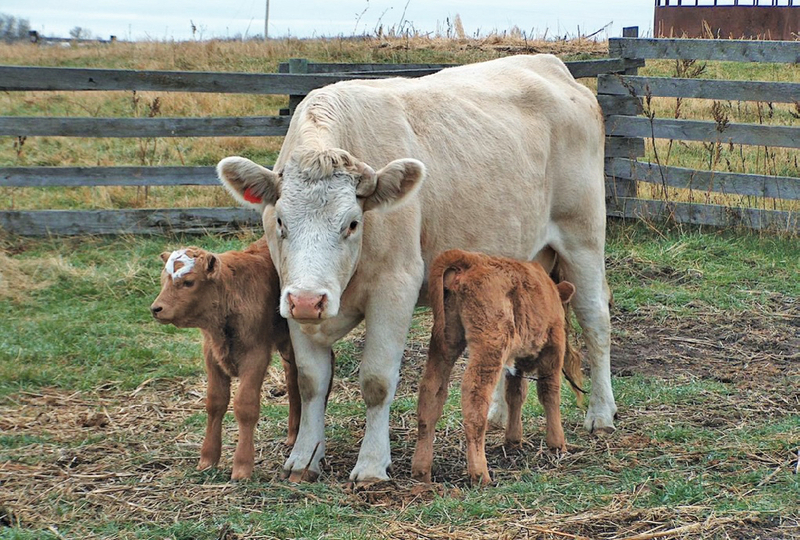 If cattle are fed a straw-grain ration, provide a good-quality protein supplement such as canola meal, alfalfa pellets or a commercial beef protein supplement after calving. 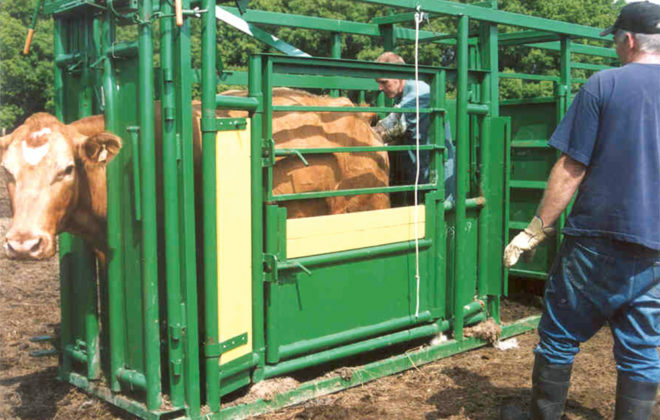 Adding any type of hay, even slough hay, to a straw ration will improve nutrient content. 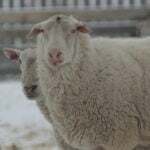 Feed an additional one to two pounds of grain per head per day for every 10 degree drop in temperature below -20 C to meet higher energy demand. An additional 0.5 to 1.0 pounds of protein supplement may also be needed. To be safe, supply 100 per cent of the vitamin requirements in feed. Beef cows require 40,000 to 60,000 IU of vitamin A daily prior to calving. 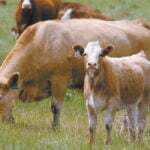 After calving, the requirements increase to 60,000 to 70,000 IU of vitamin A daily. As milk production increases, vitamin A requirements increase as well. Vitamin D requirements are 10 per cent of the vitamin A level. Most vitamin products and supplements typically supply the vitamin A and D in appropriate ratios. Vitamin E is required for proper immune system function and reproduction, and it helps maintain efficient animal growth. Feed 200 to 300 IU per day pre-calving and 300 to 500 IU per day post-calving to beef cows and first-calf heifers. As a risk management strategy going into the winter, reduce the number of BCS 2 cows and increase the number of BCS 2.5 cows in your herd. Provide cattle with an area that gives wind protection. The lower critical temperature of a beef cow is the lowest temperature a cow can be exposed to before she needs to have changes metabolically to cope with cold stress. Maintain moderate body condition scores (BCS 2.5 to 3) post-weaning so cows don’t have to play catch-up in late January and February. This helps the cow herd weather the cold winter months and adds up to huge savings in input costs. Develop protocols for the strategic control of internal and external parasites. Depending on location and grazing management practices, targets vary. Consult a veterinarian. Provide cattle with protection from wind. 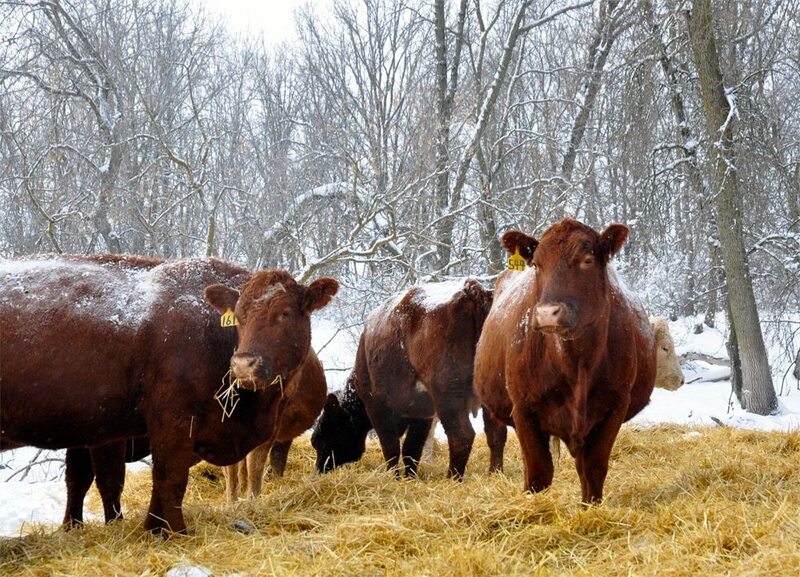 The lower critical temperature for a beef cow is the lowest temperature a cow can be exposed to before she needs help to cope with cold stress. Shelterbelts help. If severe weather conditions are extended, be prepared to increase dietary energy to cows to avoid losing weight. 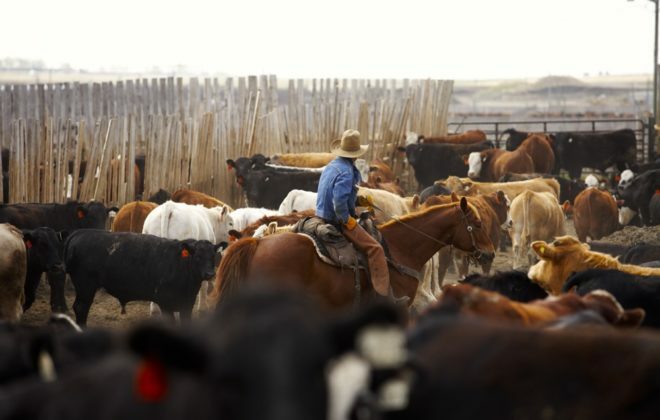 Cattle should have adequate amounts of clean, fresh water available at all times. 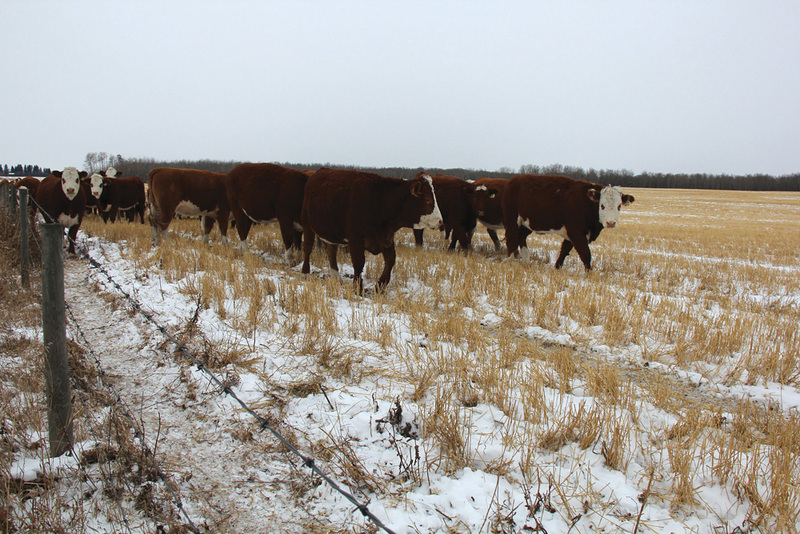 Additional concerns are the bigger challenges of developing an appropriate wintering site with access for feed delivery, and the ability to bring cattle into handling facilities for care. Bedding is important to help mitigate cold by keeping cattle clean and providing insulation from snow or frozen ground. Replacement heifers fed primarily forage for modest gains are susceptible to the physical stress of cold, which reduces thriftiness and gain.